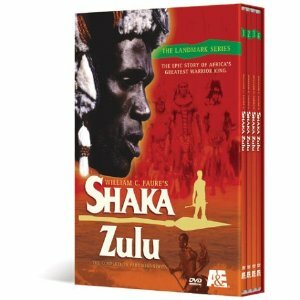 Originally aired as a British mini-series, Shaka Zulu follows the rise of Shaka (Henry Cele) to the king of the Zulus during the early 19th century when the British were beginning to gain control of Africa. --Stephen Thomas Erlewine, Rovi. A&E Home Video (2002), English, DVD Number of discs: 4, Rated: NR (Not Rated), Run Time: 500 minutes.